Page created: 28-Jan-2014, updated: 3-Feb-2014, 11-Apr-2014, 23-Jun-2014, 13-Jul-2014, 19-Aug-2014, 20-Aug-2014, 22-Aug-2014, 11-Sep-2014, 24-Sep-2014. 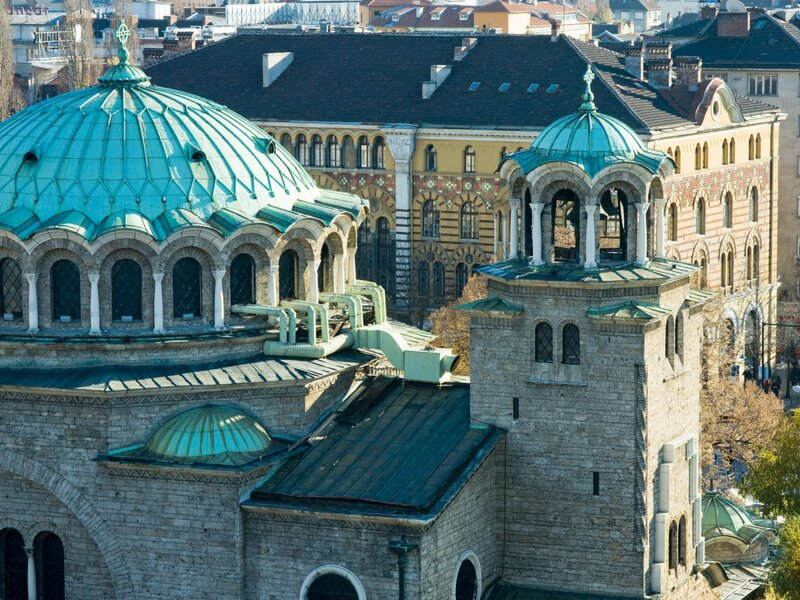 Host City: Nestled beneath snow-capped mountain peaks, Sofia is the political, economic and cultural center of Bulgaria. 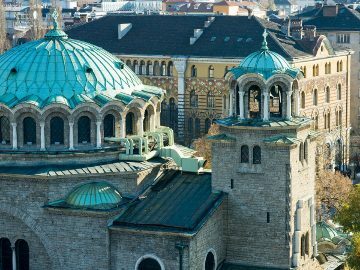 The streets of Roman Serdica, the relics of the medieval fortress of Sredetz, and the fourth-century St. George Rotunda are among Sofia's many historic jewels. 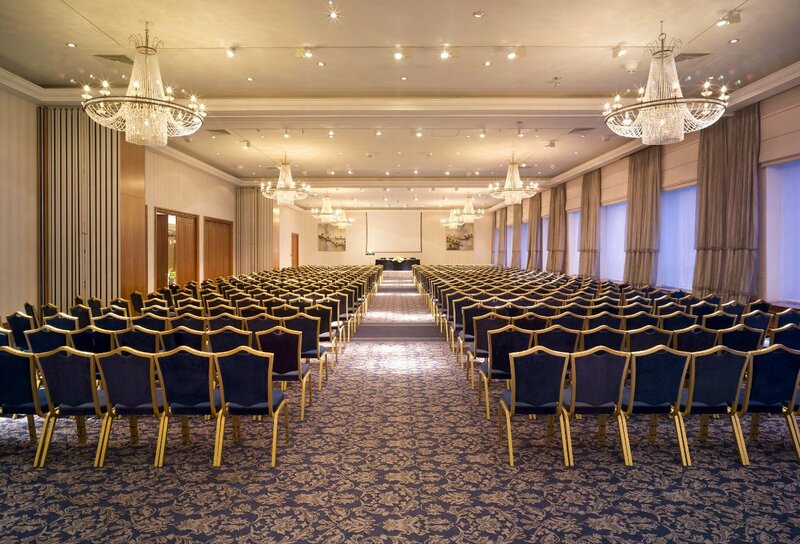 Hotel Location: The 5-star Sheraton Sofia Balkan Hotel is located in the center of Sofia, in front of the Sveta Nedelya Cathedral, and about 1.4 km from Nevski Square. Nearby are monuments, museums, theaters, cafes, shopping, galleries and parks. Government buildings, ministries, business and cultural establishments surround the hotel. The Sofia Balkan was built in the period from 1954-56. In 1986, after an extensive restoration project, the Sheraton Sofia Hotel Balkan was opened as the first hotel in Eastern Europe managed by a Western company. 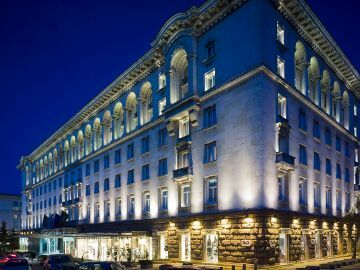 Since then it has welcomed royal family members, presidents, celebrities, professionals and various high-ranking delegations. The hotel is adjacent to the Presidential Palace. 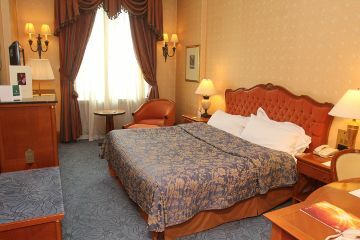 Room Rate: Classic rooms are available for 85 euros per night, single or double occupancy. A limited number of classic rooms are available. After they are booked, executive rooms are available for 95 euros per night, single or double. Reservations made for classic rooms will be automatically changed to executive rooms after classic rooms are full. Rate includes buffet breakfast. Free wireless Internet is available to HFCC participants in the lobby, lobby bar, restaurant and guest rooms as well. Hotel rate includes VAT, but there is a EUR 0.67 per person, per night tourist tax added to the bill. Classic rooms include individual air conditioning, direct-dial telephone, TV system with multilingual satellite programs, mini bar, in-room safe deposit box and free wifi. Executive rooms are completely refurbished deluxe rooms with 32-inch flat screen TV, upgraded bathroom, work desk, ottoman chair, free wifi and complimentary use of the gym facilities and sauna. Check-in time is 1400. Check-out time is 1200. Cancellation policy: One night's room revenue will be charged for each room canceled after 15 July 2014. Hotel Reservation Form . Please print and fill out the form, then send it by fax or e-mail to the hotel as indicated on the form. Conference Registration Form. In addition to the hotel reservation form (above), you also need to fill out this online conference registration form. 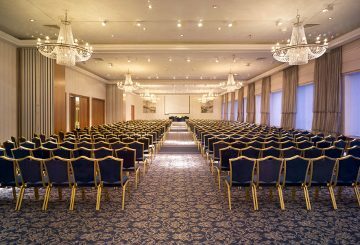 Hotel Conference Package Rate: 195 euros for the week. This amount will be automatically charged to your room if you are staying at the Sheraton Sofia Balkan Hotel. If you are staying elsewhere, you must pay this amount to the hotel when you arrive for the conference. This covers meeting room rental, morning and afternoon coffee breaks, lunch buffet with mineral water, high-speed wireless Internet, notepads and pens, mineral water, LCD projector and screen. HFCC Conference Fee: 100 euros. This is in addition to the hotel conference package fee, and is payable in cash at the HFCC registration desk upon arrival. Deposit/Guarantee: As usual, delegates will be asked to guarantee their room reservations with a credit card. Cancellation Policy: Room reservations may be canceled without penalty until 14 July 2014. One night's room revenue will be charged for each room canceled after 15 July 2014. Please note that HFCC personnel and the Conference Committee cannot intervene with hotel employees or management to change arrival and departure dates, waive cancellation penalties, etc. Meeting Rooms: The main meeting room is large and well-ventilated. There will also be an HFCC Secretariat office and some small offices for private meetings. Notes: The Sheraton has agreed to provide transportation from the airport to the hotel at standard taxi rates (with no hotel price markup) for HFCC-ASBU delegates. The Bulgarian Foreign Ministry works with www.vfsglobal.com also for provisioning of visa applications.